"It's a great day to be in Lone Tree!" The city’s motto, "It's a great day to be in Lone Tree! ", encompasses the overall sense of pride residents share with the city and with one another. One does feel the atmosphere of community with others living in Lone Tree. The young and vibrant City of Lone Tree was incorporated in November 1995 and became a Colorado Home Rule City on May 5, 1998. The convenience of the city’s location is tough to beat. It seems everything one desires from shopping, fine restaurants, the arts, recreation and a state of the art medical facility is within walking distance or a four-five minute drive right within Lone Tree. And the convenient location is less than twenty miles from downtown Denver, with a short drive to major league sporting events and world class theatrical and musical performances. Denver International Airport (DIA) is less than twenty-five miles away. For convenience, it just doesn’t get any better than Lone Tree. 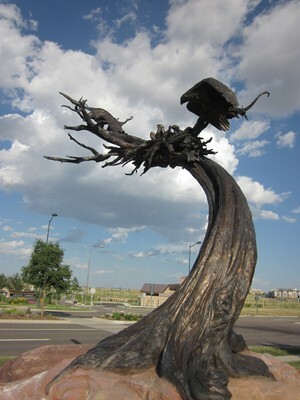 Popular resources in Lone Tree include the Lone Tree Arts Center, Lone Tree Library, Lone Tree Golf Club and Hotel, Lone Tree Recreation Center, Sky Ridge Medical Center and RidgeGate a 3,500-acre new planned community within the City of Lone Tree. In RidgeGate people will enjoy exciting new homes, work, shop and recreate in a pedestrian-friendly environment. It will include over 1000 acres of open space including neighborhood and community parks. 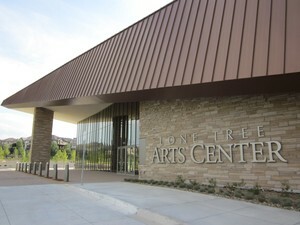 The Lone Tree Recreation Center is a first class facility designed to enhance the quality of living. The center is a collaborative effort between the City of Lone Tree and South Suburban Parks & Recreation District (SSPRD) within which Lone Tree is located. Amenities here include a full size gymnasium, circuit training cardiovascular machines and free weights, an expanded aquatics area, running track, racquetball courts, multipurpose rooms, catering kitchen and more. During ski season the Lone Tree Ski Bus, complete with movies, departs and returns to the recreation center. South Suburban Parks and Recreation District and RidgeGate's trail networks provides miles of pathways for hikers, runners and walkers of all ability and fitness levels. If you want to experience Colorado as it was when the buffalo roamed freely, do not miss a visit to Bluffs Regional Park. The arts are a priority in Lone Tree. Residents don’t need to look far to enjoy some of the most popular arts,cultural and recreational activities in the area. With so much to s ee and do, residents are inspired to take advantage of extraordinary experiences waiting at their doorstep. Events include a summer concert series in Sweetwater Park, photography show and an art exhibition. For more information on living in Lone Tree, go to the Lone Tree Blog.